In 2013, Fair-Rite opened its doors to its first wholly owned subsidiary overseas in Haining, China. The purpose of this location was to deliver cost effective solutions to our customers while maintaining the high quality levels on which Fair-Rite has built its reputation. In addition to these current capabilities, there is enough space in Suqian to allow Fair-Rite to expand into other areas. We are excited for the many opportunities that will present themselves and look forward to working with you on any new designs. 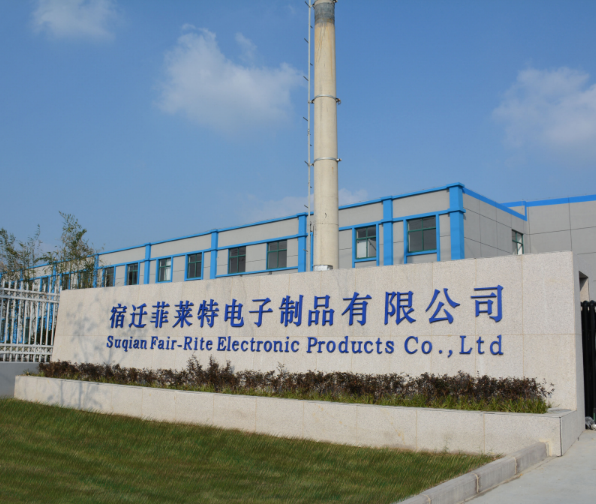 As an ISO:9001 facility, Fair-Rite Suqian will continue to provide you with the same high-quality components you have come to expect over the past 65 years! Our strategy of Design, Develop, Deliver is now fully realized. In the US, we can design and tool any custom project that is needed. Once complete, we then transition that part to China to manufacture. To ensure our high standards are maintained, we’re proud to say we have engineers and logistics employees constantly overseas to help coach and implement quality into our ferrite process.